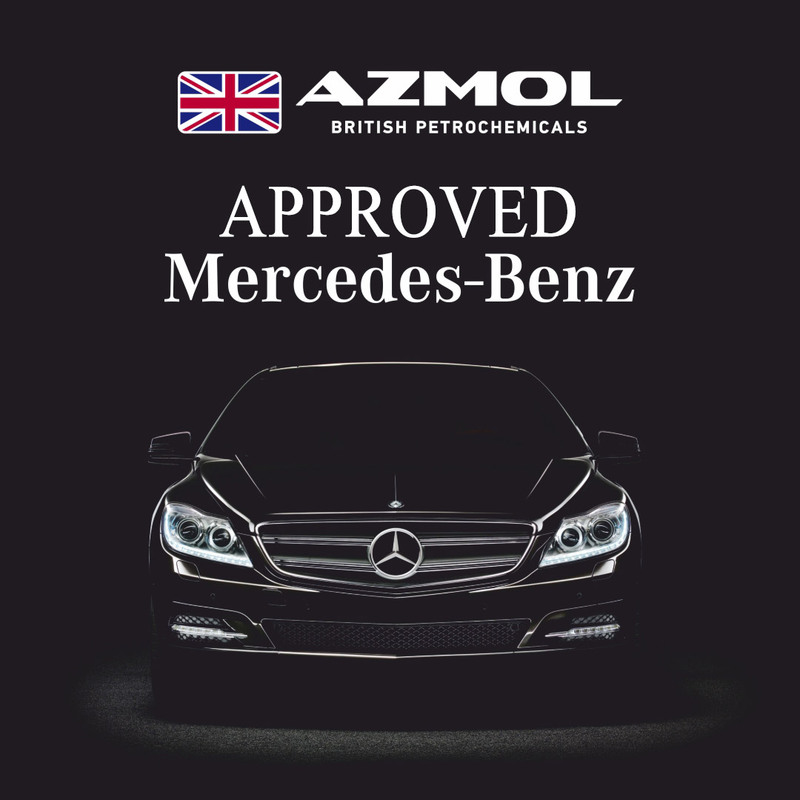 So AZMOL 5W-40 Leader Plus, AZMOL 10W-40 Leader Plus and AZMOL 10W-40 Famula M oils as a result of complex tests and studies in the concern's laboratory are defined as those that fully comply with the requirements of the Mercedes-Benz specifications for working fluids and have obtained sheets of tolerances MB 229.3 and MB 228.3 respectively. 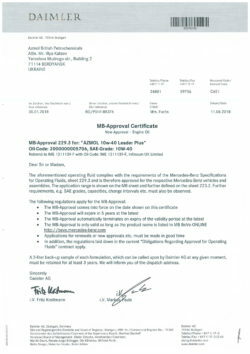 This event once again confirms the first-class quality of AZMOL-BP products. AZMOL-BP Engine oils are developed with strict European standards in mind. 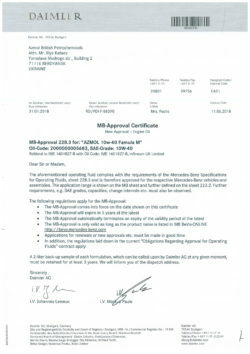 We will remind that today the requirements have changed significantly. And the trends, which is equal to AZMOL-BP now are absolutely different from those that were a few years ago. Energy Savings, longer replacement intervals for process fluids and compatibility of oils with exhaust gas treatment systems are the main indicators we focus on in the development of new products.